The digital music revolution and the rise of piracy cultures has transformed the music world as we knew it. Digital Music Distribution aims to go beyond the polarized and reductive perception of `piracy wars' to offer a broader and richer understanding of the paradoxes inherent in new forms of distribution. Covering both production and consumption perspectives, Spilker analyses the changes and regulatory issues through original case studies, looking at how digital music distribution has both changed and been changed by the cultural practices and politicking of ordinary youth, their parents, music counter cultures, artists and bands, record companies, technology developers, mass media and regulatory authorities. The criminalization of file-sharing leading not to conflicts, but to increased collaboration between youths and their parents;Why the circulation of cultural content, extremely damaging for its producers, has instead been advantageous for the manufacturers of recording equipment;Why more artists are recording in professional sound studios, despite the proliferation of good quality equipment for home recording;Why mass media, hit by many of the same challenges as the music industry, has been so critical of the way it has tackled these challenges. 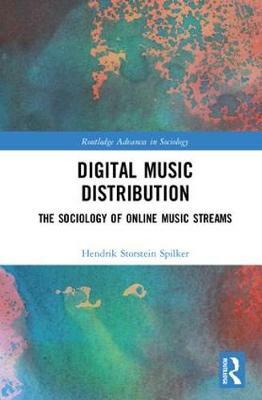 A rare and timely volume looking at the changes induced by the digitalization of music distribution, Digital Music Distribution will appeal to undergraduate students and policy makers interested in fields such as Media Studies, Digital Media, Music Business, Sociology and Cultural Studies.